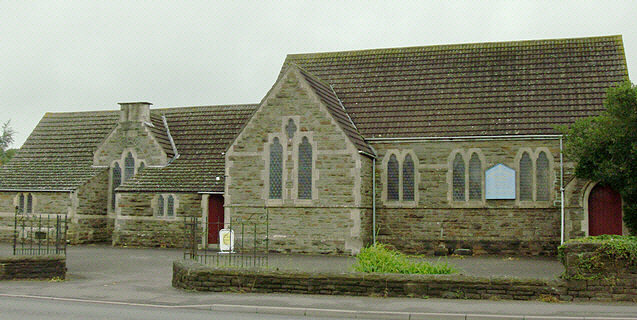 The Methodist Church is situated on the main A37/39 Road in Farrington Gurney, before Rush Hill, opposite Church lane. Methodism started in the village around 1823, and the first building was near the site of the old village hall. The present church was built during 1880-1881 at a cost of £485, with a further £129 spent on furnishings. The land was negotiated from the Duchy of Cornwall by Colonel Mogg from Manor House. Colonel Mogg was an Anglican and this was a good early example of Ecumenism. The building was extended with the schoolrooms added in 1909, with the new electric light installed in 1931. The last significant addition was the toilet and kitchen extension added in 1971. In 2012 we’ve added central heating and set out on a program of re-decorating. The building is used extensively during the week by the Little Stars Nursery, church members and friends meet for Coffee and Chat on a Wednesday morning, and Morning Worship is held in the church every Sunday. The school room is open on Wednesday mornings for Coffee and Chat, folk from the village gather to chat and drink coffee together. It is a wonderful opportunity to get to know people, renew old friendships, share in village news and issues. But most of all, just to be together, to chat, to drink coffee and to support and encourage each other.